At San Marco Animal Hospital, Dr. Venkat Gutta and his team of professionals are dedicated to providing easily accessible vet care in Jacksonville, FL. The practice is here to assist pet parents in keeping their pets healthy and getting proper diagnosis and treatment for conditions that can affect their furry family members. 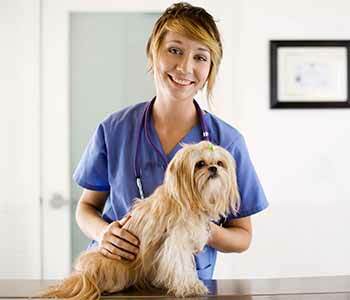 We welcome pet parents and their four-legged family members into our practice for comprehensive care. This includes services such as teeth cleaning. What is the importance of teeth cleaning for pets? When pets visit our practice for an evaluation, one of the first things our team checks is the oral health of the pet. Oral health care is essential for many reasons. When pets have good oral health, they often have a reduced chance of other medical conditions. This is the same effect good oral health habits have on humans. Instead of waiting for a problem to arise, we welcome families into our practice to have their cat or dog’s teeth and gums evaluated. X-rays can be taken to look at the overall health, and we can use these to plan any necessary treatment, whether it is dental cleaning or tooth removal. 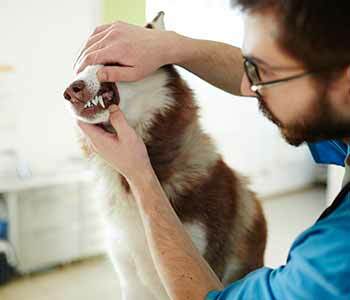 How does dental cleaning work for pets? Our team educates pet parents on how they can maintain their pet’s oral health and wellness in the comfort of their own home. Just like humans, pets should have their teeth brushed by their owner on a regular basis to keep tartar and plaque from building up. There are many dental-friendly toys and bones that can be given to dogs to also aid in reducing oral health issues. On a routine basis, pets may also benefit from a thorough dental cleaning in the veterinarian’s office. This is typically done with general anesthetics. The pet is asleep, so the entire process can be done quickly and effectively by our team of experienced staff. When done regularly, pets can maintain a healthy mouth and reduce the likelihood of many dental and even medical problems that can stem from one’s periodontal health. What can happen to a pet’s teeth? Just like human patients, pet patients may experience conditions such as dental decay and periodontal disease. Dental decay can eat away at the teeth and require the pets to have their teeth extracted. Periodontal disease can result in bone loss, which causes teeth to become loose over time. By taking care of the pet’s teeth and gums, pet parents are taking a proactive approach for their pet and making wise decisions for preventative care. In some of the worst cases, our team will have to extract teeth. This can affect the way a pet eats, and many of these pets that have a substantial number of teeth removed from the mouth may need to start enjoying wet food instead of dry food. We work directly with pet parents to help them make the best decision for their furry friend and invest wisely in their overall health and wellness. Periodontal health should be one of the first and foremost treatment solutions requested for dogs and cats. When pers are under general anesthetics, a dental cleaning in our operating room will typically take less than one hour. We can advise pet parents on the cost and help them finance these treatments if needed. Interested in evaluating your pet and being proactive about dental health? Contact the team at San Marco Animal Hospital of Jacksonville, FL today to enjoy easily accessible vet care in the community. Our veterinarian staff, including Dr. Venkat Gutta, is here to assist with this and many other preventive care treatments for dogs and cats. Call the office today at (904) 516-9767 and visit the practice at 1546 San Marco Boulevard. We welcome new pet families who are committed to the health of their furry friends!